This is one of those how-to tips that, while very useful to some, will not be for everyone . 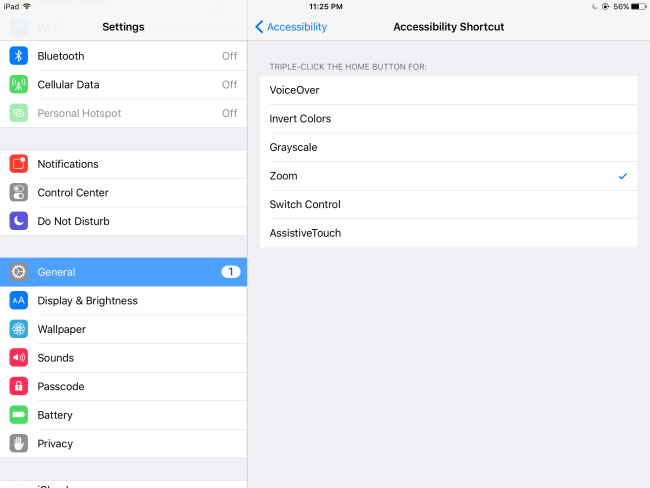 For the most part, the ability to dim your iPad or iPhone screen beyond standard control limitations can be a helpful tool. However, if you are looking to keep your whole room from lighting up in the first place, you might want to reexamine your need to use your device in the dark in the first place. Having said that, there’s no harm in the quick glance at your device from time to time. Perhaps you are waiting to get some important information, or you forgot to check an appointment time for early the next day that you wanted to verify. For me, at night I use my iPad on my bedside table to display a digital clock. The numbers are big and easy to read, even for my wife from the other side of the bed. In addition, it keeps me from picking up my iPhone, where I would most certainly would get caught up in notifications and sports scores, and anything else that might distract me form getting back to sleep. Even with the ability to dim the clock through a third party clock app in addition to using the controls on the iPad, I would still prefer to have the display brightness cranked down a level or two. Our room is pretty much pitch dark, and the glow from the iPad can be a little unsettling when you first wake up. Luckily there’s an easy process to tweak the brightness of your iOS device a little father than the default control settings available through your device–and here’s how. 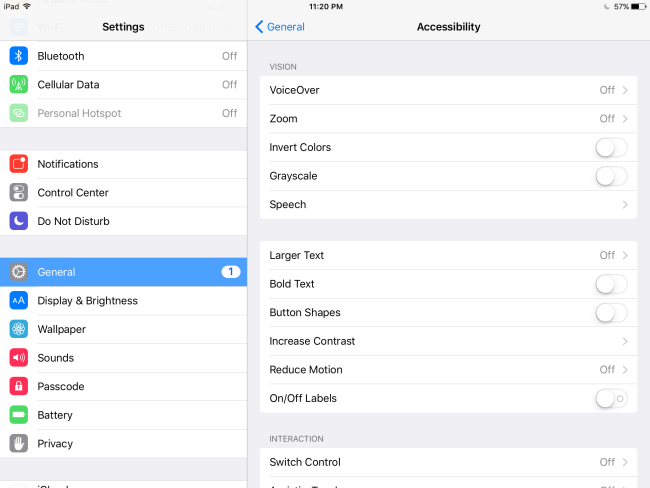 Open the Setting App on your iPad or iPhone. Then continue to the General tab, followed by Accessibility. Select the full screen zoom and use the slider to adjust the zoom controls as necessary. Choose your filter, and select Low Light. 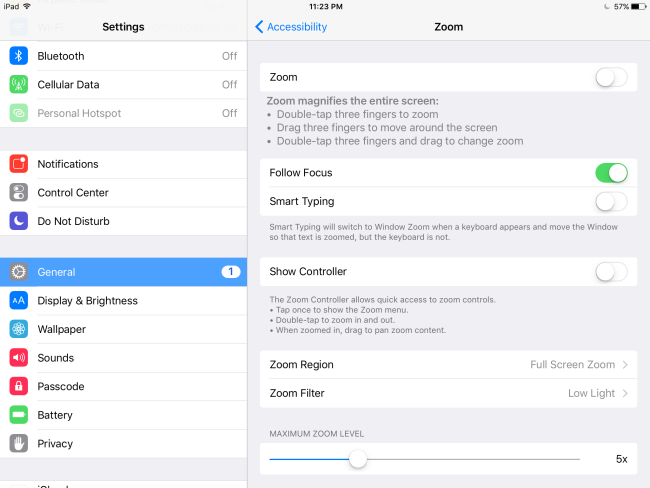 Select Zoom for the Accessibility shortcut to assign a three finger-tap to the Zoom setting. Now with a Triple-press of the Home button you can quickly and easily switch between your device brightness setting, and the new, additional level of reduced light. If you are like me and you have a triple press action already assigned to a different feature like Guided Access, a menu will appear asking you to choose which option you would like to invoke.